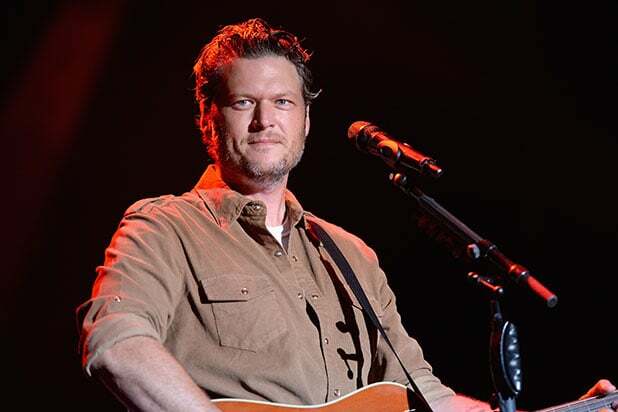 Congratulations, Blake Shelton — you’re People’s “Sexiest Man Alive”! But Twitter is just a wee bit divided over the choice. “The Voice” coach and Gwen Stefani’s beau Shelton was handed the honors by People this year, succeeding last year’s honoree Dwayne “The Rock” Johnson. Twitter users, as they tend to do, fired up their accounts to weigh in on Shelton’s honor, with a number of them expressing deep disappointment. Huckabee wasn’t alone in questioning the choice. “Donald Trump is presidential; Jeff Sessions is honest; Roy Moore is a Christian; and Blake Shelton is the “Sexiest Man Alive.” It’s like America has totally stopped trying,” another Twitter user wrote. “Somebody tell me how Blake Shelton won #SexiestManAlive when there are people like Charlie Hunnam out there?!? !” another critic asked. “Blake Shelton is not the sexiest man alive. Sorry, People,” read another response. “How can you trust straight people when they chose Blake Shelton as the sexiest among them,” went another quizzical reaction to the choice. Read on for more responses. Nursing a DEEP hurt today. Was passed over by @people magazine again for sexiest man alive honor that went to @blakeshelton . I sent in photos and everything. Oh well there’s next year. Blake Shelton is not the sexiest man alive. Sorry, People. I don’t want to live in a world where Blake Shelton is the Sexiest Man Alive. So women have to be supermodels to be named People’s Sexiest but men can look like Blake Shelton? Ok. I heard my dude Blake Shelton won People Magazine’s “Sexiest man Alive.” Way to hold I­t­ down for all the 7s out there. We appreciate you ✊????✊???? Mel Gibson was just 29 when he was named People's first Sexiest Man Alive in February 1985. "St. Elsewhere" star Mark Harmon, then 34, became the magazine's second choice. "L.A. Law" star Harry Hamlin was 35 when he was named. Political scion John F. Kennedy Jr., then 27, was named Sexiest Man Alive in 1988. At 59, Sean Connery became the oldest Sexiest Man Alive when he was chosen in 1989. Tom Cruise, 28, had just opened "Days of Thunder" when he was selected in 1990. "Dirty Dancing" and "Ghost" star Patrick Swayze was 38 when he was tapped. In 1992, 51-year-old Nick Nolte followed up his performances in "The Prince of Tides" and "Cape Fear" with the Sexiest Man Alive title. In a departure from tradition, the magazine in 1993 named Richard Gere and model Cindy Crawford as Sexiest Couple Alive. 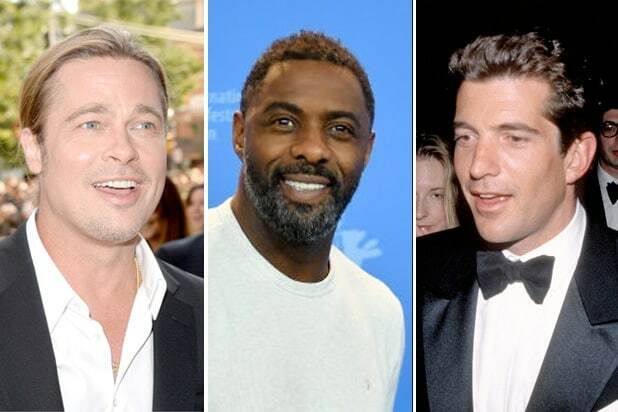 After skipping the franchise in 1994, People returned the following year by naming 31-year-old "Legends of the Fall" star Brad Pitt as Sexiest Man Alive. Denzel Washington, 41, became the first non-white star named as Sexiest Man Alive in 1996. George Clooney, then 36, had just starred in "Batman & Robin" when he was chosen in 1997. "Star Wars" and "Witness" star Harrison Ford was 56 when he was selected in 1998. In 1999, Richard Gere landed a solo cover at age 50. Brad Pitt was chosen for a second time in 2000. Pierce Brosnan was 48 and then the reigning James Bond when he was named in 2001. Oscar winner Ben Affleck was 30 when he was selected in 2002. "Pirates of the Caribbean" star Johnny Depp, 40, took the honor in 2003. Jude Law was at the height of his ubiquity when the then-31-year-old Brit was selected in 2004. Matthew McConaughey was actually in a box office slump ("Two for the Money," "Sahara") when he was chosen in 2005. At 45, George Clooney claimed his second "Sexiest Man Alive" title in 2006. After being teased by his "Ocean's" co-stars about the perpetual snub, 37-year-old Matt Damon finally landed the cover in 2007. "Wolverine" star Hugh Jackman, 40, claimed the honor in 2008. At 46, Johnny Depp pulled off a two-peat in 2009 just after starring in "Public Enemies." Ryan Reynolds, 34, was named in 2010 hot off the rom-com hit "The Proposal" with Sandra Bullock. "The Hangover" star Bradley Cooper, 36, was a year away from his first Oscar nomination for "Silver Linings Playbook" when he was selected in 2011. Channing Tatum, 32, capped his break-out hits "21 Jump Street" and "Magic Mike" in 2012 by claiming the Sexiest Man Alive crown. In 2013, Maroon 5 frontman Adam Levine, 34, became the first music star to be named Sexiest Man Alive. "Thor" star Chris Hemsworth, then 31, wielded the sexiest hammer in 2014. Forty-year-old soccer star David Beckham became the first pro athlete chosen in 2015. Wrestler-turned-actor Dwayne "The Rock" Johnson became only the second star of color to be given the title in 2016. Blake Shelton, the country star and longtime judge on "The Voice," was named in 2017. Idris Elba, the British actor who rose to fame on TV series like "The Wire" and "Luther" and later in films like "Mandela: Long Walk to Freedom" and the "Thor" franchise, was selected in 2018.